Gator GPA-720 rolling powered mixer transporter. Finally, a way to easily move and protect your expensive powered mixers that is stylish and durable! 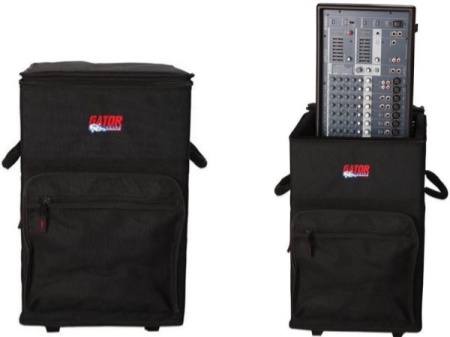 The GPA-720 is designed to fit all major brands such as Yamaha, Peavey, Behringer and Mackie, the case is constructed from 1/2 in. plywood covered with 600-denier ballistic material. Large industrial size wheels and pull-out handle make this case ready for easy transport.